Mushrooms are sprouting up everywhere due to the rain we've been having. Edward Faulkner of Helensvale with new fungi in his front yard. WHEN it rains it spores and local lawns are sprouting mushrooms of all shapes, colours and sizes. But a fungi expert advises against people cooking up their homegrown toadstools to go with their bacon and egg breakfast. "There are certain types that are poisonous," Queensland Herbarium mycologist Nigel Fechner. "It is not wise to eat them if you don't know what species they are. "They are responding to the rain. "There are 100-200 lawn-type species." 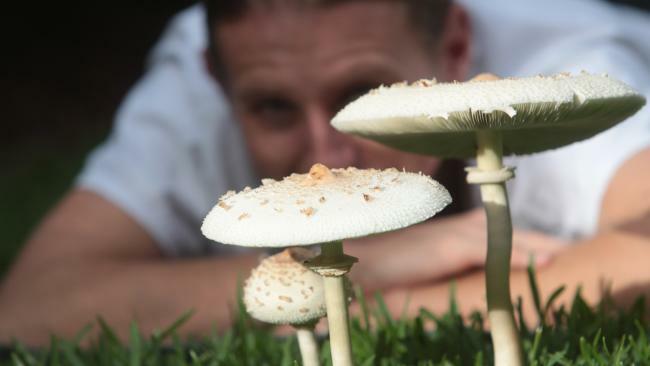 Quality Gardening Gold Coast business owner Luke Pridmore told the Gold Coast Bulletin he had noticed an increase in the amount of mushrooms sprouting since the wet weather began. But while the rain may be good for the grass and plants Mr Pridmore says his business dries up until the weather clears up. "I have taken a break while it is wet," he said. "It is too boggy and a lot of people would rather I don't mow their lawns in the rain because it leaves lines on the grass. "I also prefer not to mow in the rain too." 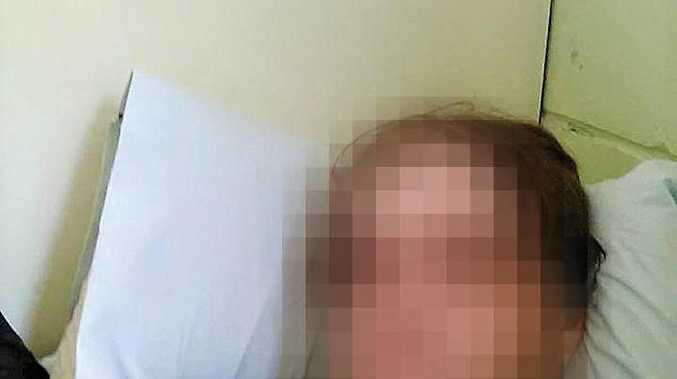 Mr Pridmore said when it stopped raining he would get stuck into getting rid of all the mushrooms in his client's yards by running the mower over them. The damp weather impacting the city since late last week has helped the fungi in the soil grow, producing the mushrooms which will continue to thrive while conditions are wet. Weatherzone's Brett Dutschke said the rain would last for another week with daily temperatures of 28-30C and overnight in the low 20s.